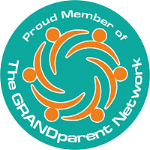 Ever wonder what kind of impact grandparents have on the lives of their grandchildren, other than the impact I wrote of here? Pretty impressive stuff, wouldn't you say? Happy Saturday, one and all. Make it a memorable one!